On Friday, March 13, Professor John Dunn, Emeritus Professor of Political Theory at King’s College, Cambridge, was invited by the Asan Institute for Policy Studies to lead a special lecture on the role of democracy in society. As defined by Professor Dunn, democracy “professes to open up the process of government to the will and judgment of each one of its citizens and to endure whatever the consequences prove to be.” This professed commitment is modern democracy’s greatest strength and weakness. When democracy fails to live up to its implausible promise to do as all the people wish, the credibility of that democratic government falls. The people who feel most let down begin to view electoral processes with cynicism and disillusionment. As a result, “Citizens often suspect the benignity of their rulers’ purposes and fear the quality of their judgment, and rulers in their turn all but invariably more than return the compliment.” Government becomes a fraught relationship. This emphasis on the population brought Professor Dunn to the crux of his lecture, which is the need for better informed and well-educated citizen actors. There must be a change in the way that the citizenry is educated so that they perform their civil duties with the utmost thoughtfulness and political rationality. Given that every state citizen is given one vote within a democratic government, it is essential that he or she make that vote count. 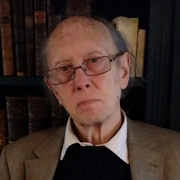 John Dunn is Emeritus Professor of Political Theory at King’s College, Cambridge. He is especially interested in the politics of Japan and Korea, and was a consultant to the Kim Dae-Jung Peace Foundation. Previously, he was a professor of political theory at Cambridge University from 1987 to 2007 and has been Emeritus Professor there since 2008. Prof. Dunn was also a visiting professor at various universities in Ghana, India, Japan, Canada, Italy, and the United States. He is a Fellow at the British Academy and chaired its Political Studies Section from 1994 to 1997, served on its Council for three years, and was also a Foreign Honorary Member of the American Academy of Arts and Sciences. Prof. Dunn’s work applies a historical perspective to modern political theory, initially to the political thought of John Locke. He is the author of The Political Thought of John Locke (1969), Modern Revolutions (1972), The Cunning of Unreason (2000), Setting the People Free (2005), and Breaking Democracy’s Spell (2014). Professor Dunn studied history at King’s College, was the Harkness Fellow at Harvard University.